Access to the AEDP Listserv. The AEDP Listserv is ideal for exploring clinical issues, getting concrete answers to practical challenges and making and receiving referrals within the AEDP community. It’s a great way to connect with the supportive, innovative, international AEDP community. Listserv participation is open only to Paid Members. Full FREE Access to the AEDP Journal Transformance. As the official publication of the AEDP Institute, Transformance features the latest advances in AEDP theory and research. Each issue includes original articles, transcripts of clinical sessions, reviews of recent literature, and research and clinical innovations related to AEDP. New! Transformance Talks – FREE for Paid Members: Transformance Talks are Webinars, presented by authors of AEDP’s Journal Transformance. Only Full, Student and Retired Members participate live (or watch recordings) of Transformance Talks for free. 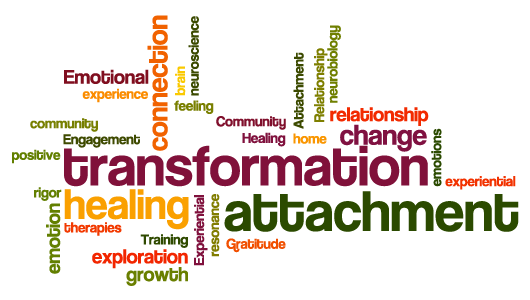 Transformance Talks have quickly become a valuable way for the AEDP community to connect, learn and grow. Customizable Listing in the AEDP Therapist Directory. (Full Memberships Only) The AEDP directory is an invaluable resource for anyone – including your fellow therapists – seeking an AEDP therapist in the United States, Canada and other places around the world. As a Full Member of the Institute, you can customize your listing with highlights of your work and experience with AEDP, and make it easily searchable by anyone looking for an AEDP therapist in your area. Savings on AEDP training. All AEDP Paid Members receive a $50 discount on registration for both the AEDP Immersion and Essential Skills courses, as well as discounts on almost all AEDP trainings, workshops and products. Please note, that all paid memberships (above) automatically include this free access to the Journal. All subscribers to AEDP’s email list are entitled to register for FREE Access to the AEDP Journal Transformance. As the official publication of the AEDP Institute, Transformance features the latest advances in AEDP theory and research. Each issue includes original articles, transcripts of clinical sessions, reviews of recent literature, and research and clinical innovations related to AEDP. Recent topics have included neuroscience, transformational studies, trauma treatment, phenomenology, attachment theory, development and mother-infant studies. Free Transformance Only Account members are automatically added to AEDP’s email list if not already subscribed.